Q. How do I view a summary of an article without reading the whole thing? Most scholarly articles contain an abstract. The abstract is a brief written statement of the main point or facts in a longer report. The abstract summarizes what the article is about. 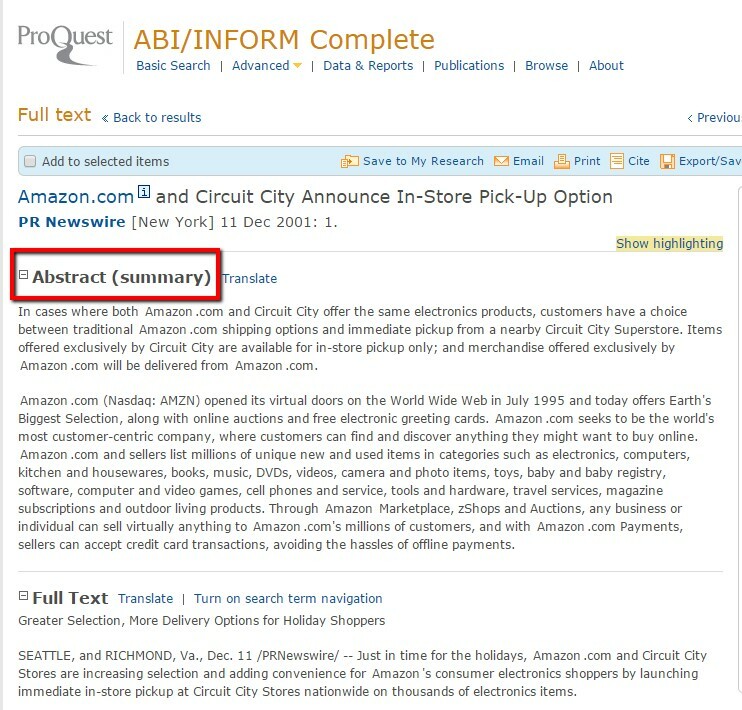 Reading through the abstract will give you an idea of the information contained in the article without reading further. An abstract will include information about why the research study was done, what the methodology was and something about the findings of the author(s). The abstract is always at the beginning of the article and will either be labeled "abstract" or will be set apart from the rest of the article by a different font or margins.